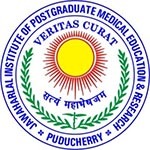 JIPMER PG is a University level entrance examination which is organized by the Jawaharlal Institute of Postgraduate Medical Education and Research. On the basis of JIPMER PG 2018, the University will offer admission to MD/MS courses. Every year, JIPMER PG is conducted two times in a year i.e. in January and July month. Here, candidates can get the detailed information on JIMPER PG 2018 such as exam dates, application form, eligibility criteria, exam pattern, syllabus, etc. Candidates can apply for JIPMER PG 2018 only through online mode. JIPMER PG 2018 application form for January session will be available from 11th September 2017. After the submission of application form, candidates are not allowed to make any correction in the application form. Upload the signature and recent colour passport size photograph (in jpg/jpeg format) with file size not more than 80KB. At last, take the printout of filled-in application form for future record. The application fee can be remitted through Net Banking/Credit card/Debit card only. Application fee for UR/OBC/Sponsored/Foreign is Rs. 1200/-. For SC/ST candidates, the application fee is Rs. 800/-. OPH candidates are exempted from the application fee. Qualifying Exam: Candidate must hold the MBBS Degree or its equivalent from a recognized University/institution which falls under Medical Council of India. Must complete the rotatory internship training on or before 31st December, 2017. Candidate should also register with Central/State Medical Registration Council. Mode of Exam: JIPMER PG is the single-shift online based exam. Duration of Exam: The duration of whole examination is 180 minutes. Type of Exam: The question paper will consist of Multiple Choice Questions. Numbers of Questions: There are total 250 questions in the test. Marking Scheme: 4 marks will be given for each correct response. Negative marking: 1 mark will be deducted for choosing wrong response. Admit card can be downloaded from the website. The JIPMER 2018 Admit card is a mandatory document to enter in the examination hall. Admit card will be available from 3rd week of November to 2nd week of December 2017. The hall ticket will contain the roll no., name of candidate, photo, signature and exam centre/venue/date. For admission, it is mandatory to score 50 percentile in the JIPMER PG 2018 entrance exam. For reserved category candidates, the minimum percentile is 40. On the basis of rank obtained in entrance test, admission will be provided to the students. JIPMER PG 2018 result will be displayed on the website of JIPMER. On the basis of merit obtained in entrance exam, candidates will be called for the counselling round. The admission to the candidates will be provided strictly on the basis of entrance exam. A category rank will be prepared by the authority. Candidates can get the information regarding counselling, merit and rank from the website and from the Notice Board of Academic Section, JIPMER. No candidate will be informed individually. If candidates have any query regarding JIPMER PG 2018, they can leave the comments in the comment box.